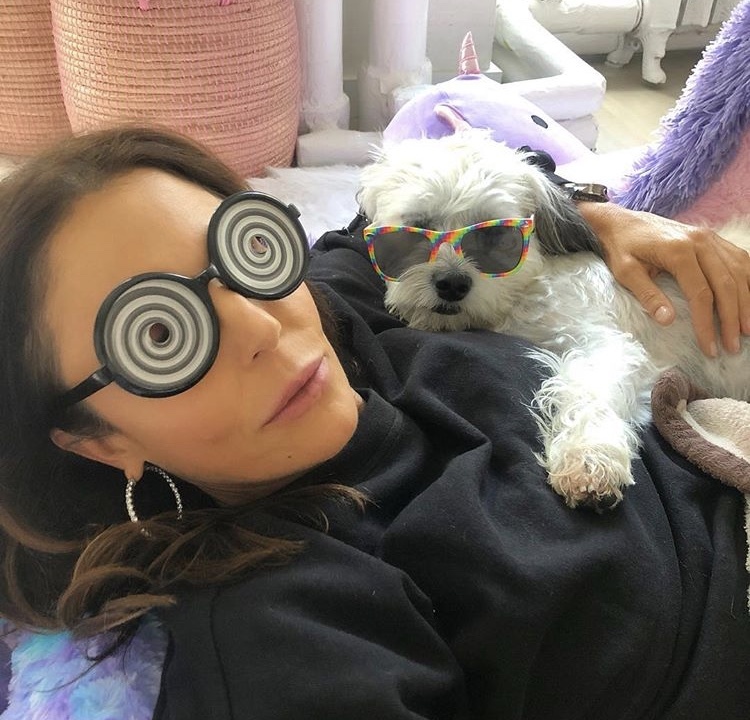 Instagram Roundup: Kate Chastain, Brittany Cartwright, Cynthia Bailey, Kayla Sessler, & More! Below Deck’s Kate Chastain and Josiah Carter reunited in Palm Springs. Below Deck Mediterranean stars Hannah Ferrier and Jamie Jason shared a photo from Naples, Italy. Could they be filming Below Deck Med Season 4? Or are they just on a girls trip? New Jersey Housewife Melissa Gorga went to the first New York Knicks game of the season with some friends. Real Housewives of Orange County’s tres amigas Shannon Beador, Vicki Gunvalson, and Tamra Judge all hung out rocking matching blazers. There are few things funnier than a Real Housewife throwing some shade. Real Housewives of Potomac cast member Charrisse Jackson-Jordan has decided to take her shade throwing from the show and social media to the stage. Just like Atlanta Housewife NeNe Leakes, Charrisse is trying her hand at standup comedy. Well, let’s hope that it’s not “just like NeNe.” We don’t need another scandal like those Uber “jokes” NeNe aimed at a member in the audience. Hopefully Charrisse has learned from NeNe’s mistakes in the comedy arena. There is so much going with the Real Housewives of Potomac ladies this season. Loyalties are constantly shifting and shade is constantly being thrown. Monique Samuels joined the show as a close friend of Charrisse Jackson-Jordan’s, but they are far from that these days. It’s safe to expect a reunion showdown between these two- especially after that messy Kyndall Douglas situation. Just as reminder, this is what happened: Gizelle Bryant used to date Sherman Douglas. Sherman was married to Kyndall. Charrisse and Monique have filmed several scenes with Kyndall this season and invited her to events that Gizelle attended. Beyond messy. Considering that Charrisse Jackson-Jordan was an original cast member on Real Housewives of Potomac, it’s pretty suspect that she’s bringing Kyndall Douglas to events all of a sudden during Season 3….. after she had a falling out with Gizelle Bryant over those fireman affair rumors. Gizelled ated Kyndall’s ex-husband Sherman Douglas so it’s just a little too coincidental for it not be a dig aimed at Gizelle. Charrisse wasn’t the only one who decided to film with Sherman’s ex. Monique Samuels invited her to events as well. At lease Monique is owning it, but she doesn’t want to take all of the blame for Kyndall’s presence. That last episode of Real Housewives of Potomac was all sorts of messy. Gizelle Bryant told Robyn Dixon that the other ladies didn’t want to wait for her to get ready even though they said they would. Charrisse Jackson-Jordan admitted that she invited Kyndall Douglas to events to get revenge on Gizelle for those fireman rumors last year. 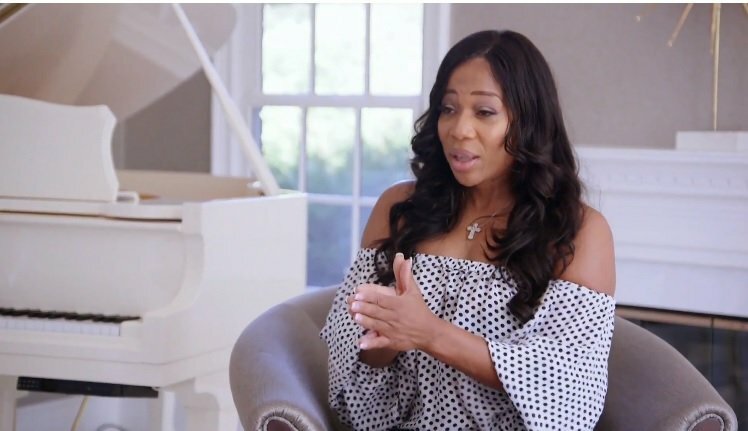 Candiace Dillard even confronted Monique Samuels for laughing in her face in response to her story about her marital difficulties “being in the spotlight.” There was a lot to unpack- just from that episode alone. 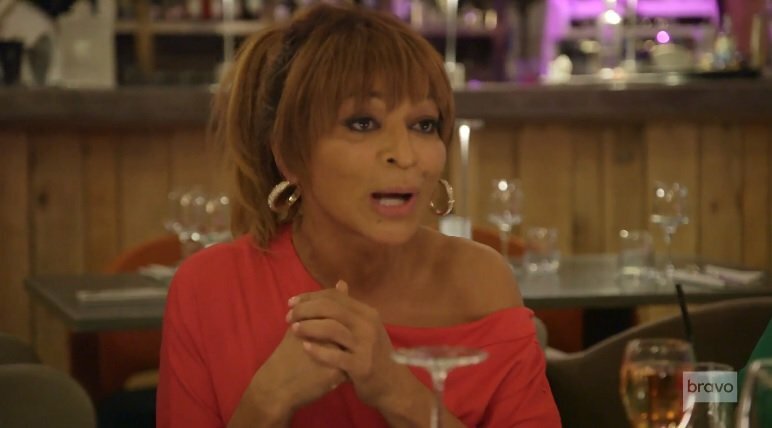 During the last episode of Real Housewives of Potomac, both Gizelle Bryant and Ashley Darby came for Karen Huger and her marriage- multiple times. Gizelle accused Karen’s husband Ray Huger of crushing on Gizelle’s business partner Erika. Gizelle and Ashley questioned Karen for not wearing her wedding ring. 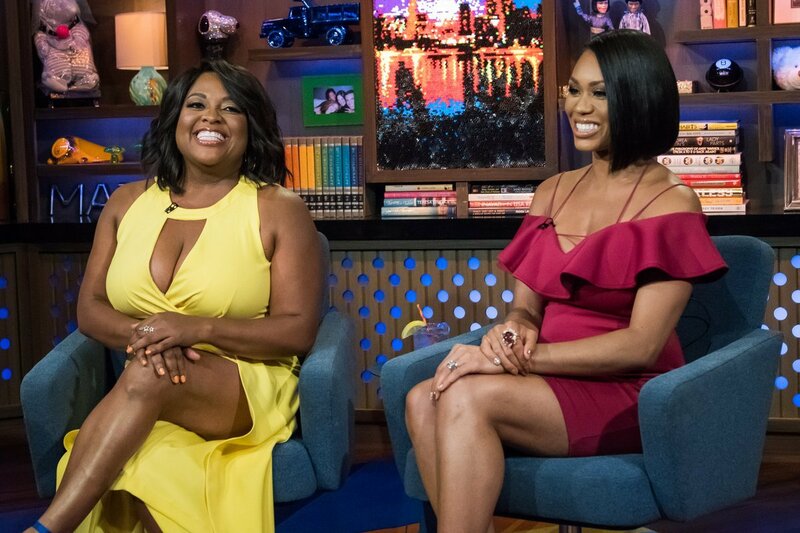 Needless to say, Karen will not be sitting on the same couch as Gizelle and Ashley during the Season 3 reunion taping. Just like another cast trip in the Real Housewives franchise, the Real Housewives of Potomac ladies’ vacation in France is just chock full of dramatics. It almost makes the (likely) Bravo-funded trip not worth it- but then again they are getting paid to be there and feuding is a part of their jobs as reality TV stars. Plus it seems like most of them actually thrive when they get to argue and throw shade at each other. 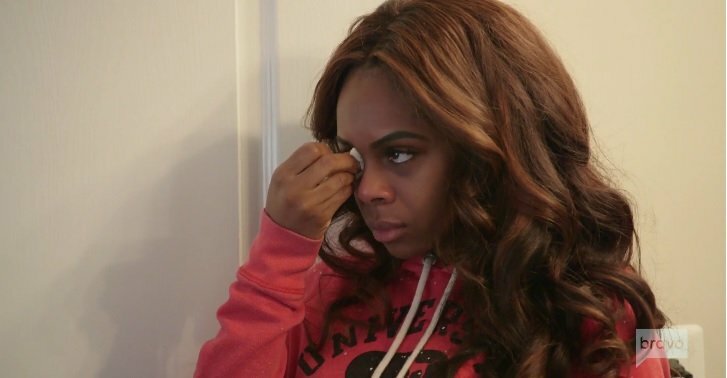 Gizelle Bryant had no problem checking Karen Huger and Monique Samuels during that last episode and she still has more shade to throw. The Real Housewives of Potomac cast members are not going to get away with lying if Ashley Darby is around. She is all about calling people out when they aren’t truthful. She’s not buying into Karen Huger’s vague descriptions of her financial status and living situation. Ashley also let Monique Samuels and Charrisse Jackson-Jordan know that their names have been in each other’s mouths- very often. Ashley is messy and proud of it.